I admit, I have asked this question. I have just shared 7 miracles this week and have literally heard many of you testify of hundreds if not thousands of miracles. Where was our miracle? A recent talk by Elder Donald Hallstrom asked this very question and it has been heavy on my mind ever since. Especially considering the recent events in Las Vegas where there are 58 families asking, “where is my miracle?” I know there are families and people all over that are going through a divorce, dealing with depression, coming to grips with infidelity, death, addiction, and chronic illnesses. Where is our miracle? 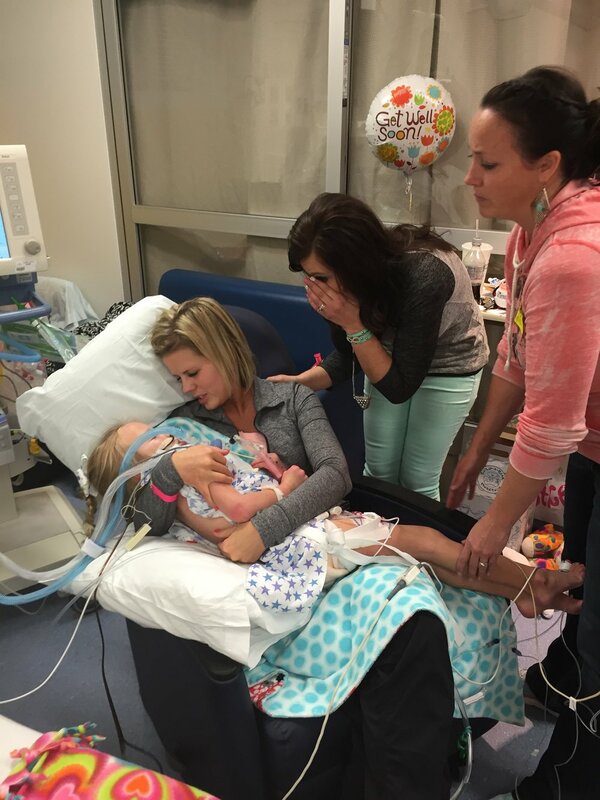 When Kycie was in the hospital, it was a time in my life that I have never prayed for something with such a broken heart, contrite spirit and faith. I have never experienced such an army of prayers in her behalf. Why did we not get the miracle we prayed so hard for? Kycie would be turning 8 years old today. In my culture, this is a very important birthday. It would be the year she could choose to be baptized and take upon her the name of Jesus Christ. Do not get me wrong; I firmly know where my baby girl is. I know that children are alive in Christ, and that as Kycie died as a child she is saved in Christ. That being said, it is still one of those milestones, those cultural celebrations that as parents, we truly miss. It is wonderful to see all of Kycie’s friends make that decision and be baptized, at the same time you are fighting off feelings of sorrow and self-pity. Why was Kycie the statistical anomaly or the rare case that seems to never happen? Why my girl? Why do I only remember the miracle? Why do I only remember that the three were saved from the fiery furnace? I remember their faith in miracles, but do not remember their faith in God’s plan. There are so many times that I have felt shame, unworthiness and guilt for a lack of faith, faith in a miracle. I remember reading so many comments on Instagram and Facebook while Kycie was in the hospital. Things like, “I know she will be completely healed and will be your little girl again.” “I believe she will walk, and talk and be back to school for Kindergarten.” I would read these comments and think to myself, “you don’t know how bad it is. You are not here to see her MRI, and listen to the doctors report. You are not here to see how much she struggles through the day. 23 hours of struggle for 1 hour of amazement.” That is when my guilt would set in. When I would wonder why I couldn’t believe like others do for a miracle. Reading this scripture last week helped me realize something about myself. Maybe my faith wasn’t as misplaced as I thought it was. In fact, maybe my emphasis of faith in God’s plan, His atonement and eternal life, was what gave me strength and emotional stability through Kycie’s ups, downs and ultimately when she passed away as I held her in my arms. Some define a miracle as a “beneficial event brought about though divine power that mortals do not understand.” Had all my faith been placed in this type of miracle, I may not have fared so well. I would have been devastated when we did not get our miracle. I may question God. I may doubt His existence. I might have lost faith and become deaf and blind to the millions of spiritual miracles that were all around us. Shadrach, Meshach, and Abed-nego had all confidence that God could save them from the furnace. BUT if He didn’t, they had complete faith in His plan. I learned it is okay to ask for miracles. Ask for the very thing you want. Ask for everything you want, even the impossible. Having hope that you will get your beneficial event brought about through divine power. However, it is not a lack of faith to say, “BUT”. Being real about the situation you are in and understanding that God’s ways are not always our ways. This will give you peace, comfort and understanding if you don’t get your desired miracle. Josh Terry grew up in Richfield, Utah. Jamie King Terry grew up in Monroe, Utah. Although the towns are only a few miles apart, they never met until the summer of 2000. They were married in 2001 in the Mt. Timpanogos, LDS temple. The couple started a family quickly, Bryton was born September 2002 and Treyton in September 2003. That same year Josh started optometry school in Fullerton, CA where the family lived for the next 4 years. Daxton was born in February 2006 and Keaton in 2007. The family finished school in the summer of 2007 and moved to Bullhead City, AZ. They were living in AZ when they were blessed with their first and only girl. Kycie was born in October, 2009. In 2010 the family moved to St. George, Utah and added another little boy to the family. Boston was born in June, 2013. In January, 2015 Kycie began to complain of a stomach ache and head ache. After 5 days she was diagnosed with type 1 diabetes and a blood glucose level of 1048, normal is 90-110. She was LifeFlighted to Salt Lake City and suffered two seizures and fell into a coma. After reviewing an MRI, doctors told Josh and Jamie that the high glucose caused Kycie's brain to swell and ultimately resulted in severe brain damage. Kycie was not expected to survive, and if she did it was likely she would have little to no quality of life due to the severity of her injury.